Do you know someone who really really really loves Christmas? If so, this is the perfect card for them. A quirky and colourful Christmas card for any age. The design features a cute robot couple standing in front of a Christmas tree, surrounded by presents. The text ‘Beep if you love Christmas’ is printed against a vivid green background. The card is available in A5 size and also A6 size and is blank inside for your own special message. 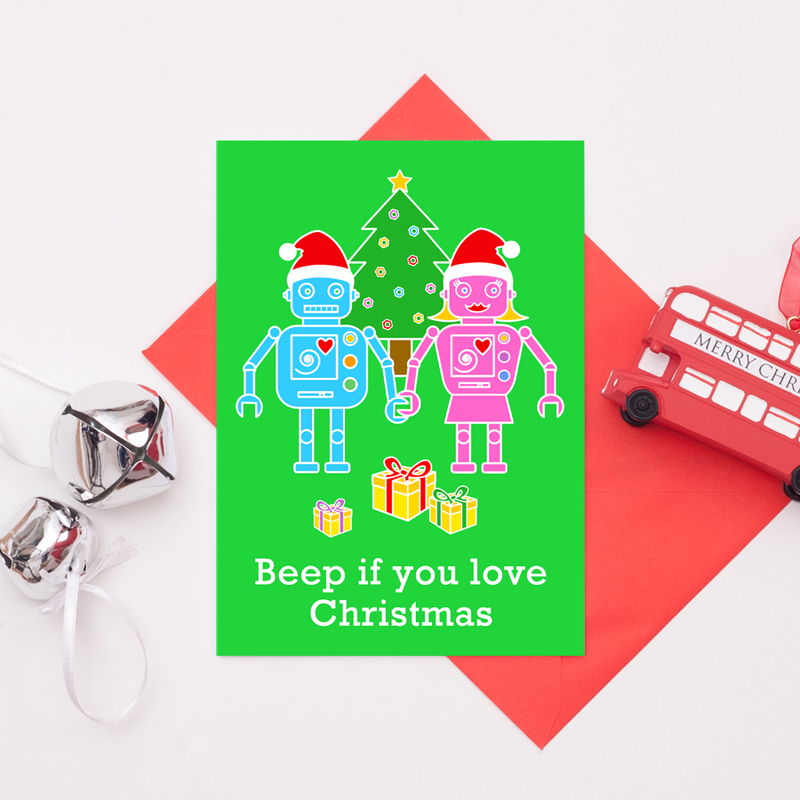 Be the first to review “Beep If You Love Christmas – Robot Christmas Card” Click here to cancel reply.